This Paddy Power casino is a full service online gambling service based in Dublin, Ireland. It is regulated and licensed by the famous Alderney Gaming Control Commission. This casino is famous in Ireland and UK. There are several high street shops (betting) and also sponsorships which are in different arenas. This was founded when three Irish Bookmakers merged their forty shops to make a betting company. In 2007 they started their online gambling and the popularity of this casino is enhancing day by day. It has achieved the reputation of the largest and the most online gaming destinations in Europe. Players, who want to play the game online, have to sign up for the site first. There are wide selections of games available at the site of Paddy Power Casino. It is easy to find out games as there are a few dropdowns which are for different game categories and there are filters too. Searching process of the game is very easy, and even a novice can do that. There are two hundred different types’ online games. Search one according to your choice. There are various categories of games – slots, Roulette, Blackjack, Table Games, Video Poker, Leisure and Mega Jackpots, etc. 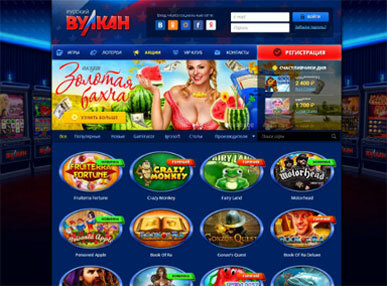 The Casino Software is supplied by Playtech, one of the finest providers of online betting games throughout the entire world and for this reason it allows you the access to all latest comic jackpot slots like superman, batman games, etc. If you are a horse race lover, then opt for Frankie Dettori’s themed slot. To get the Aladdin-esque feel choose Wild Wishes game. If you are a poker fan then you can play Texas Hold’em and Omaha. There is also a live casino where you can play Blackjack, Roulette and Baccarat with live dealers. It is one of the glamorous parts of the casinos which has its own high energy set up background and layout showing special bonuses for live casino player who play games in this part. If you are lucky you might win some free spins as well. This is a good place to earn money. Players can even watch video about the dealers. Though the slot is provided by Playtech, it is something different than other game as the whole thing is featured exclusively in Paddy power studios. The chat facility makes a good community feel in between players and dealers. 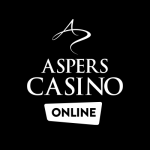 In “Games” section of the site there is an instant play casino with games like Monopoly, Deal, No Deal and the X Factor. You can play Paddy Power Casino in your mobile too if you have Android and Apple apps. The mobile setting is very well made and user friendly so the user finds no difficulty to play games here. You need to download the app and signup. You will again login to start playing the game. You do not have to deposit anything to get started. Win a bonus and get started. There is a round the clock help center linked on the main navigation area via a dedicated call centre. Customer care in Paddy Power Casino is offered through live text chat, email, tweet, and phone. Plenty of methods are there for payment. Major credit cards, debit cards, e-wallet including PayPal, direct bank transfer and check is accepted for payment purpose. 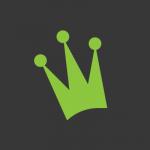 The Paddy Power Casino organizes competitions and tournaments on a regular basis both on online and on your mobile. The winner of the competition may win a nice cash prize. Lots of promotions, free chips, promo codes are there, exclusive Live Dealer Rooms, full setoff mobile apps, access to bingo, sports and more. Cons are very little. It could feature more slots and players outside UK and Ireland may find the site too little UK-centric. A large number of non -UK countries are not allowed to play in this Paddy Power Casino.